Proactively Manage Your IT so it doesn’t Manage You - Advanced Computers Blog | NY | Advanced Computers, Inc.
Technology issues can break a business’s budget, especially if a proper IT monitoring and maintenance system isn’t in place. This leaves room for hardware failures, security breaches and other issues that can cost a small business owner a pretty penny to sort. There’s a song that says “If I knew then, what I know now. I’d have found a way to make things work out somehow.” When you anticipate the issues that can arise with your IT structure, you are better able to manage them. A proactive approach to IT maintenance is therefore highly recommended to avoid spending more than is necessary on IT issues. However, many small and medium-sized businesses have difficulty justifying the expenses that an internal IT department brings. A business that is highly dependent on efficient computerized resources MUST take a proactive approach to IT maintenance. Those businesses that aren’t prepared for the level of upkeep that a computing network demands will quickly find themselves overwhelmed. Despite the difficulties that come with technology management, maintenance is an absolutely vital role that must be fulfilled in order to get the most from your hardware and software. Advanced Computers’ proactive Remote Monitoring and Maintenance solution is designed to mitigate these issues for small and medium-sized businesses, and make IT monitoring and maintenance more affordable. Here is the kind of mindset a small business owner needs to have in order to ensure your IT issues are minimal. Your staff or customers take advantage of several different kinds of software and applications that are critical to the day-to-day operations of your business. Updating all of these periodically can seem like a chore due to the seemingly random nature of patch releases and version updates. Attempting to update all of these on your own can be challenging and tedious, not to mention time-consuming. Furthermore, these patches and updates usually fix critical security flaws that need to be remediated in order to maintain optimal network security. Many businesses tend to only fix their technology when there’s something wrong with it. This is called the break-fix IT model, and compared to Advanced Computers proactive IT model, it’s incredibly inefficient. When your technology is continuously being broken and fixed again, the resulting costs can be devastating; especially if they aren’t called for in your IT budget. Too often, technology issues can break your business’s budget. This is primarily if your business isn’t anticipating issues, like hardware failure. These problems can be extremely costly, even though they can easily be prevented with proper upkeep and maintenance. 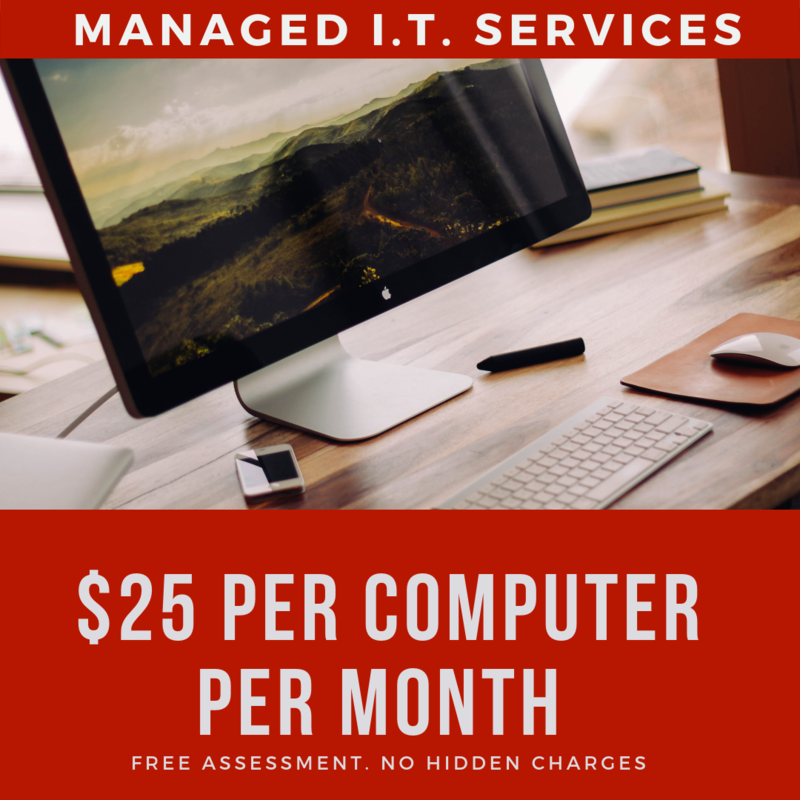 Advanced Computers offers a competitive fixed rate of $25 per computer per month, to monitor and maintain your IT system. We provide the proper upkeep and maintenance of your mission-critical systems and we function just like your internal IT department, but without the costly salaries. Even if your organization does have an internal IT department, we can work alongside them to perform the daily maintenance that they might not have time for. This helps them better innovate and provide new solutions for your business model. We know your organization doesn’t have time to worry about technology. Instead, let Advanced Computers handle it for you so you can concentrate on what matters most— your business. Give us a call today at (212) 532-9500 for a free consultation.